THE David Elsworth trained Speculative Bid has been given top weight of 9st 13lb for the William Hill Ayr Gold Cup to be run on Saturday 19 September at Ayr Racecourse. The four year-old’s latest run with a mighty impressive second to Fadhayyil in the City Of York Stakes at York last month, and if his astute trainer elects to send him to run in the £180,000 race at Ayr he will set a very high standard, and sponsors William Hill rate him a 16/1 chance. 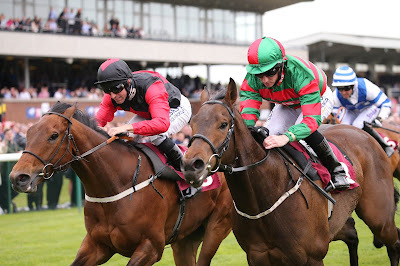 Second top weight with 9st 10lb is the Irish raider Maarek winner of the Beverley Bullet Sprint on Saturday over five furlongs, while the Hamdan Al Maktoum owned, Barry Hills trained Markaz is on 9st 9lbs. Other notable horses include Jim Goldie’s Jack Dexter on 9st 8lbs and Don’t Touch (pictured above, front right), winner of the Great St Wilfrid at Ripon recently, and who is 10/1 ante post favourite with Hills. Latest odds from William Hill – 10 Don’t Touch, 14 Tanzeel, Mubtaghaa, 16 Speculative Bid, Golden Steps, Huntsmans Close, Rene Mathis, Buckstay, Highland Acclaim. SOME of the most powerful stables in horse racing have entries for the 2015 William Hill Ayr Gold Cup. A total of 252 horses entered the £180,000 race, and this number will eventually be whittled down to 25 runners in the Gold Cup and the same number in both the Silver and Bronze Cups. Hamdan Al Maktoum holds three of the highest rated entries in Markaz, trained by Barry Hills, Tanzeel from the Charlie Hills yard and the William Haggas trained Mubtaghaa. And the all-powerful Godolphin operation have a top entry with Portamento, trained by Charlie Appleby. Top northern trainer Richard Fahey has 25 entries including Heaven’s Guest, Alben Star (pictured above) and Farlow while last year’s winning stable of David O’Meara could be represented by Algar Lad. #Jim Goldie’s Jack Dexter is hoping to become the first Scottish trained winner of the race since Roman Warrior in 1975 and will be one of the top weighted. The Uplawmoor trainer will be praying for soft ground at Ayr come 19 September. THE finest three days of flat racing held in Scotland for many years is lined up for the 2015 William Hill Ayr Gold Cup Festival at Ayr Racecourse, providing some of the best action the sport of kings has to offer. There is more than £660,000 in prize-money, three major sprint handicaps including the richest flat race in Scotland – the William Hill Ayr Gold Cup - a Group 3 contest and two Listed Races and many more valuable contests. 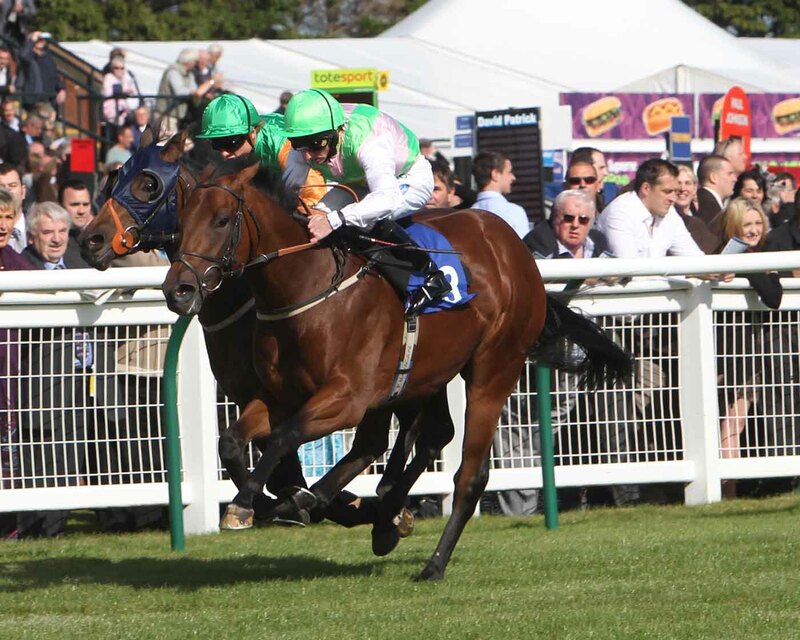 The Ayr Racecourse management team has invested heavily in the fixture, which runs from 17 – 19 September, and hopes to be rewarded with many leading stables from the south of England and Ireland vying with the leading northern and Scottish yards for the top prizes. Such is the standard of horse running in the race most of the runners are rated around 100 or higher in the handicap and even the consolation races the William Hill Silver and Bronze Cups will boast some top sprinters. The middle day of the Festival, William Hill Ayr Gold Cup Ladies Day, has attracted sponsorship from Shadwell Stud owned by Hamdan Al Maktoum, who is sure to send several horses sporting his famous blue and white silks to plunder some of the spoils. 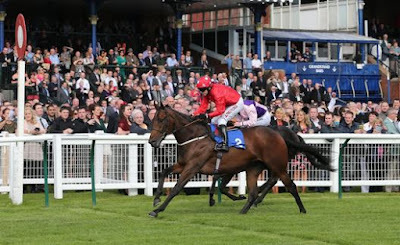 The main supporting races on the Saturday are the William Hill Firth Of Clyde Stakes – Scotland’s only Group race - the William Hill Doonside Cup, a Listed Race, and the William Hill Ayr Silver Cup. Channel 4 will screen the four principal races on the Saturday and crowds of more than 20,000 are expected over the three days.